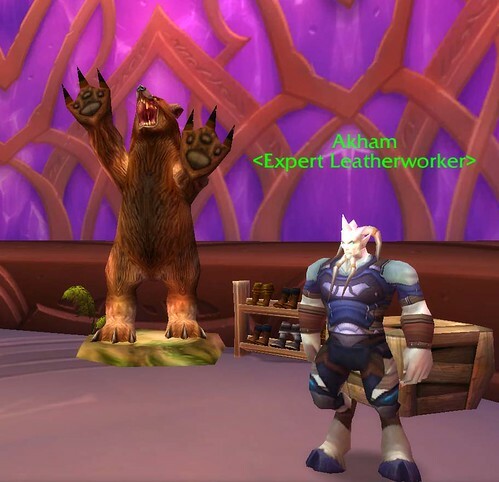 I bet I could put my warlock in crappy gear that looks like NPC clothes, make a guild called <Master Leatherworker>, and stand next to this guy in the image. Then all have to do is charge a heap for each wrapped gift sold via trade. It could make Grifter look nooby at scamming toons. OK, i wont, but sheesh thats close to my toon name.